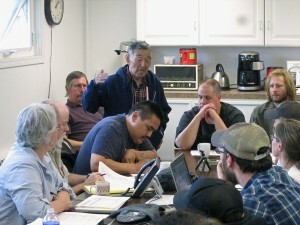 Four weeks into salmon fishing restrictions, the atmosphere along the Kuskokwim River is tense. 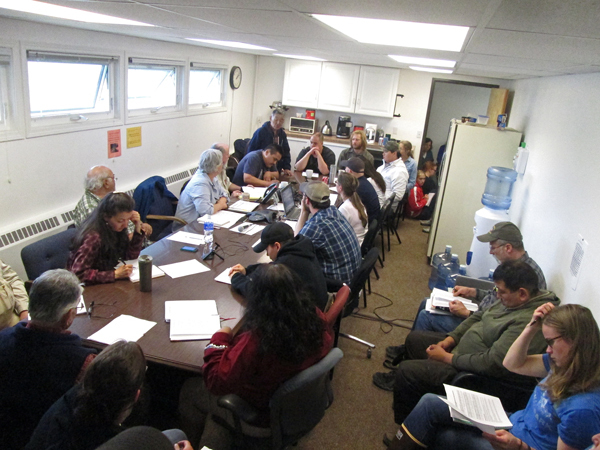 At a meeting Tuesday the stress the closures are causing was obvious, but gillnet fishing for salmon is near. The Bethel Test fishery numbers are showing many more chum and sockeye salmon than kings in the river. That’s one signal that fishing could begin soon. 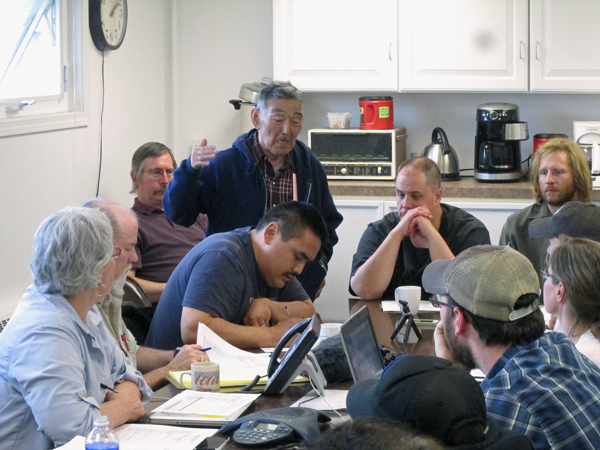 At a Kuskokwim River Salmon Management Working Group meeting Tuesday, subsistence fishers met with managers to figure out when the gillnet restrictions can be relaxed. Reports of stress along the river in some cases were extreme. Working group member Fritz Charles reported on what he’s hearing about possible violence on the river. “They’re starting an organization as we speak. If we keep going on like this, what we’re going on, lives could be lost,” said Charles. Working Group Co-Chair Bev Hoffman told the group that they all have a part in making the summer a success. “We’re all in it together. And so it’s up to us to calm…when we hear the kind of volatile remarks like that, it’s up to us to calm people, and I’m serious about that,” said Hoffman. The group did not want to draw more attention to incendiary ideas, but U.S. Fish and Wildlife Warden Robert Sundown told the assembled fishermen and community leaders how the enforcement works. “The reasons we make our decisions to open or not to open is not going be because of armed resistance, it’s going to be based on the biology of the numbers. The surest way to get from 12 game wardens that we have on the river to 350 wardens, the entire fleet in the nation is to have a gun threat. If you want to see you see 350 wardens on the river, that’s the surest way to do it,” said Sundown. Tim Andrew from the Association of Village Council Presidents said empty racks have people worried. “That rainy season is approaching upon us, so people are feeling anxiety about being food insecure. Salmon is extremely important to people in the villages. There needs to be accommodation at some point or some level of assurance from this body or from managers that something there is going to be something positive on the horizon coming up,” said Andrew. So how close is the first opening? Federal manager Brian McCaffery laid out his plan for the next few days. “We’re still hopefully looking forward to a first opening, at least downriver, sometime at the end of this week, I’ve not made a decision what day that would be, we want to take a look at least one more day of data,” said McCaffery. The opening will target chum and red salmon, although some incidental king salmon catch is expected. McCaffery says the first opening may be below the Johnson River and run a few hours with 6” gillnets. The openings would likely move up the river in three day intervals. After 2013 showed the weakest run on record and not having made escapement in two of the past four years, managers’ top priority is getting enough king salmon to spawning grounds. This year’s run is early and past data shows that early runs can end very quickly. After nearly a month of closures, McCaffery reassured people that salmon fishing is not far off. “I think there is a glimmer there, I certainly know that it has been a difficult season for everyone, but we see openings on the horizon, so we’re hoping people can be patient,” said McCaffery. Working Group Member Fritz Charles say he’ll be passing on the word of potential openings and hopes too that people will be patient. “I’d rather lose king salmon than lose a life,” said Charles. The Working Group voted to support managers’ decision to study the numbers this week in anticipation of the first opening. Ben Matheson is a contributor with the Alaska Public Radio Network.